Kit Glaisyer is in a new studio following the fire at St Michael’s Studios. He works in the Romantic tradition with his Cinematic Landscape series of paintings of West Dorset, creating immersive, panoramic vistas that engage the viewer in an emotional relationship with the natural environment, in an evocative dreamscape where light, darkness and a transcendent experience of nature is experienced. 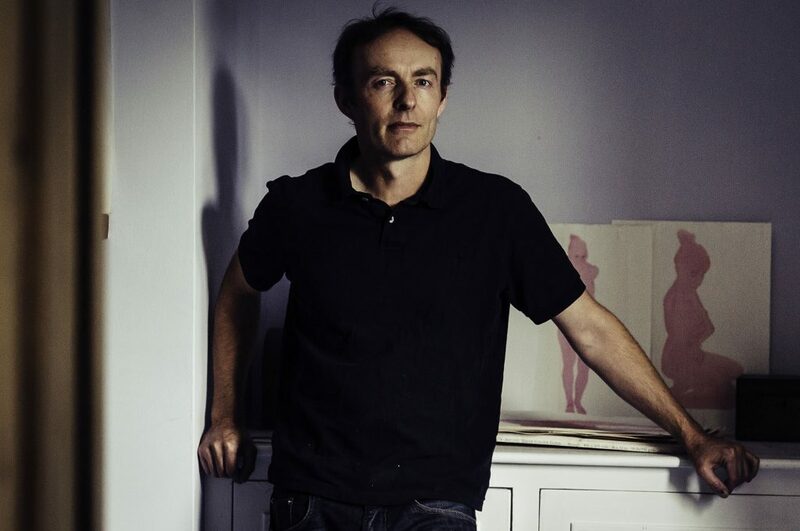 He featured in the 2012 Portrait Prize at Bath’s Holburne Museum; exhibited a retrospective of 45 paintings at the Octagon Gallery in Bath in 2013; was Highly Commended at the Marshwood Arts Awards, Bridport Arts Centre, in 2015 and ran the Garden Gallery – a project space in Bath in 2017. From Bridport, head north towards Beaminster. Before Colfox School turn right at the Kings Head pub; follow road as it snakes around; turn right onto Higher Street and continue to house on right at end of street, on the corner of Forsters Lane. From Beaminster turn left before Gore Cross roundabout at Townsend Way, then right at Mangerton Lane which connects to Higher Street. From Loders & Nettlecombe, enter Bradpole over little bridge, house is on left after Forsters Lane junction. Can you give a brief history of your art practice? How would you describe the process by which your artwork takes shape? Who and what are your greatest artistic influences? Artists: Constable, Turner, Rembrandt, Vermeer, Canaletto, the Dutch 17th Century Landscape painters, the European Romantic painters, Casper David Friedrich, the American Hudson River School, Corot, Cezanne, Soutine, Van Gogh, Picasso, Edward Hopper, Warhol, Koons, Hirst. Writers: Thomas Hardy, Lewis Carol, CS Lewis, Richard Adams. Film: Wim Wenders, the Coen Brothers, Tarkovsky, Kubrick, Ridley Scott, Christopher Nolan.